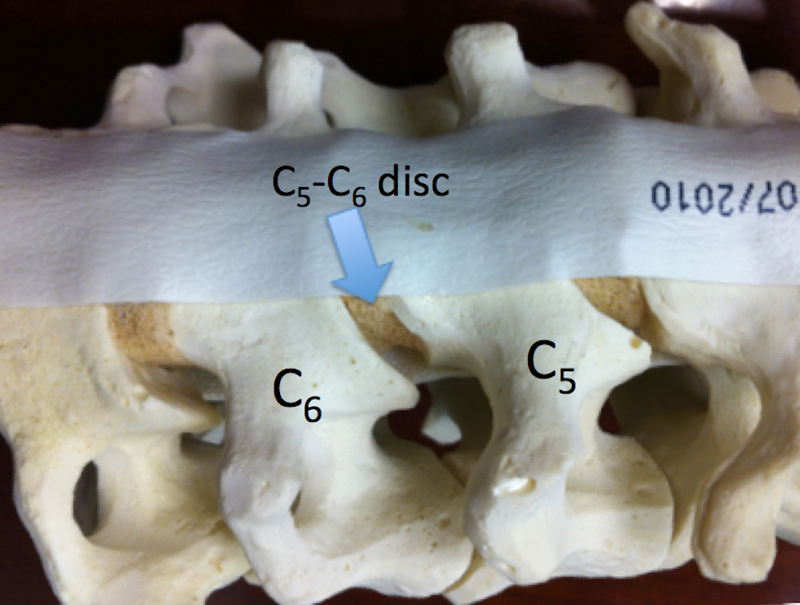 ACDF is one of the most common procedures performed in the cervical spine. 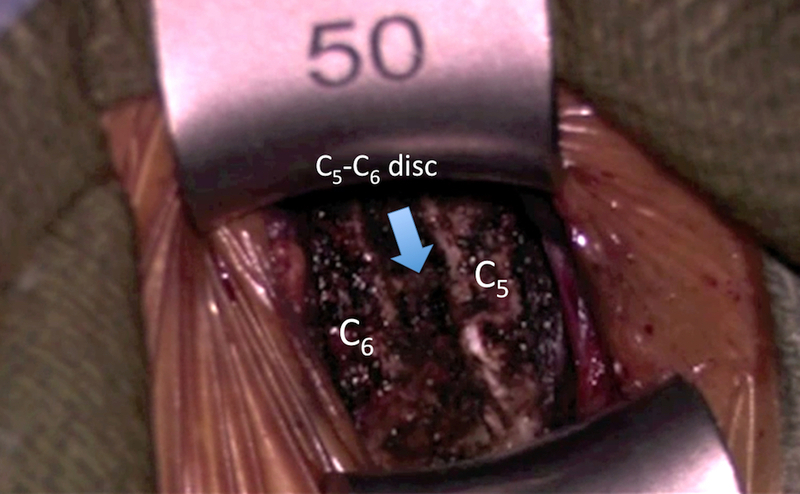 Due to the fact that the spinal cord cannot be manipulated without causing spinal cord injury, there is a limited role for posterior decompression-alone procedures in the neck. 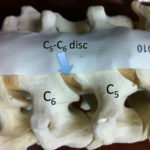 This is much different than the lower lumbar spine in which the spinal cord has ended above this region and the nerve roots can be manipulated to perform decompressions and discectomies. Lumbar decompressions are common. Cervical spine surgery may be considered in a person complaining of neck or arm pain, weakness, numbness or balance problems. Pain may be in the neck or radiating between the shoulder blades. It may extend down the arm. Weakness, numbness or tingling may be present in the arms or hands. 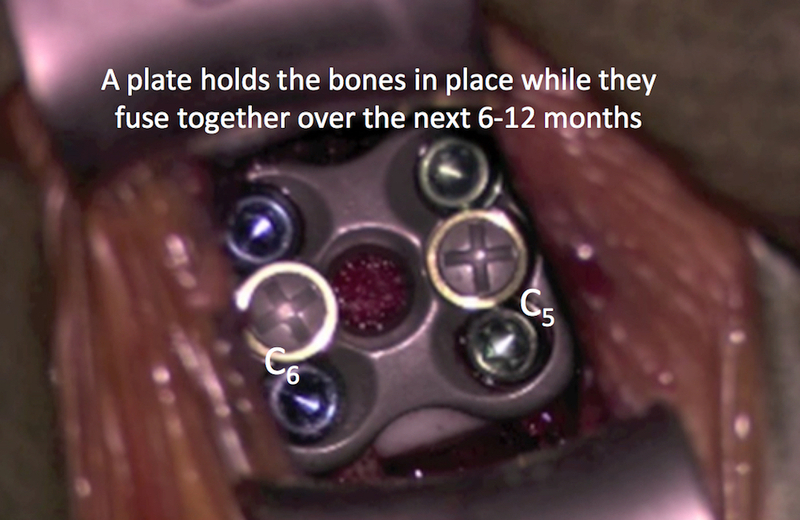 Prior to any surgery on the cervical spine, conservative options are often initially pursued. Observing for 4-6 weeks may be the initial step. Nonsteroidal anti-inflammatory medications or Tyenol may be tried. We try to initially avoid narcotic or muscle relaxant medications. Failure to improve may warrant physical therapy, chiropractor therapy or acupuncture. 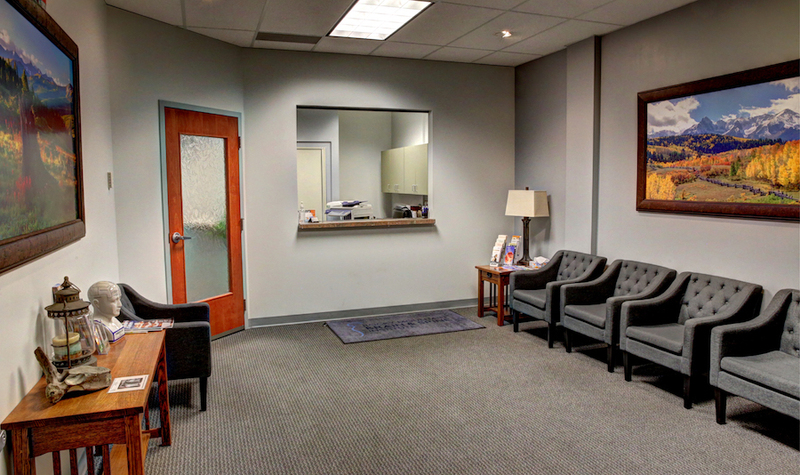 Eventually, an MRI can be performed to evaluate for nerve compression from disc bulges or herniations, bone spurs, or other compression forces. Even though it is not FDA approved, injections may be pursued. RMBSI Board Certified surgeons routinely perform ACDFs If a patient fails conservative options or the patient has significant weakness or numbness, surgery may be considered. 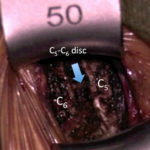 Surgical options include posterior tubular minimally invasive foraminotomy, ACDF, or artificial disc replacement (ACDR). 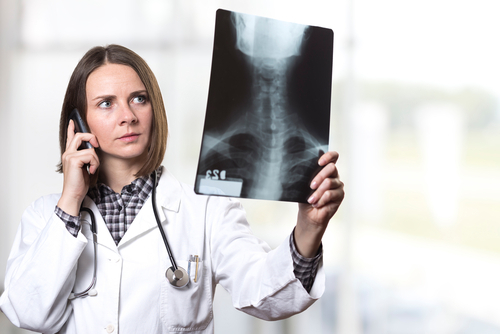 Posterior minimally invasive foraminotomy can be a reasonable option in a young person with good cervical curvature (lordosis) and a specific type of nerve compression to the side of the spinal cord in the foramen. However about 15-20% of the time patients develop increased neck pain and spasms about 6 months after the surgery. 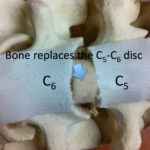 ACDR is also a good option in a younger patient with only 1 or 2 spine levels requiring surgery. Posterior cervical decompression and fusion does a poor job of improving lordosis, but can supplement ACDF or be used for failed prior fusions (pseudoarthrosis). ACDF, however, can be performed much more universally for many different conditions. 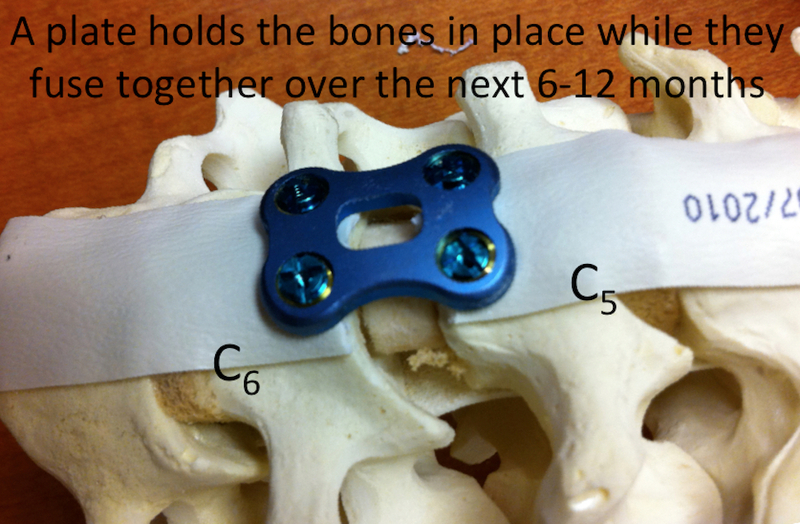 It is the “workhorse” procedure for the cervical spine. 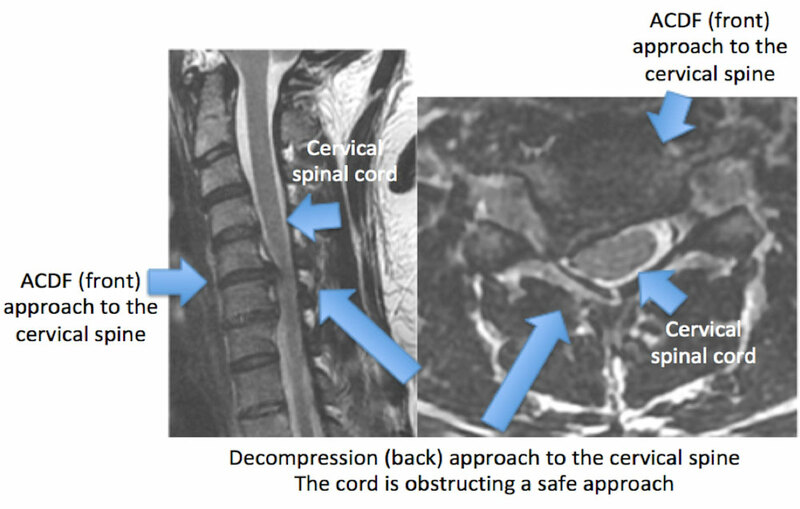 The cervical spinal cord cannot easily be pushed to the side without causing a spinal cord injury. Sometimes it is safer to approach the cervical spine from the front for an ACDF or ACDR. Click image to enlarge. 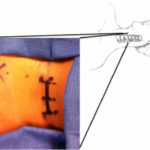 In an ACDF, an incision is made in the front of the neck. The neck organs and blood vessels are retracted to the side. 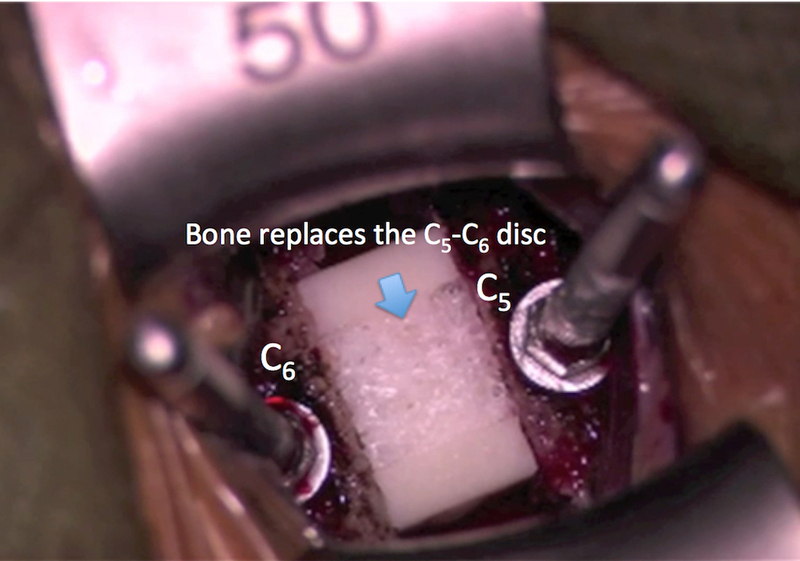 The disc(s) are completely removed and a bone or prosthetic spacer is placed between the vertebral bones. 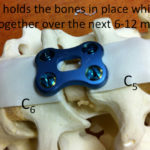 A plate and screws are usually placed to hold the bones in place while the bones grow together, or fuse. While the nerve decompression and plate/ screws are placed during surgery, the fusion does not actually occur for 6-12 months. Prior to the advent of metal instrumentation in spine procedures, bone was harvested from the hip and placed in the interspace. 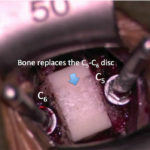 This bone, from the patients themselves, resulted in excellent fusion. 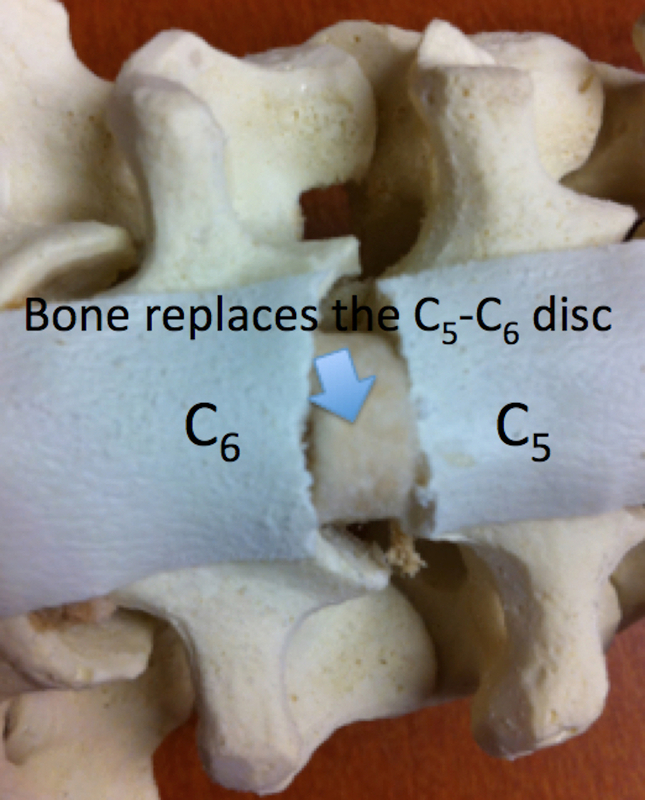 However patients commonly experienced more pain in the hip, so we now commonly use cadaver bone. 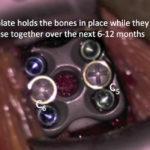 Additionally, patients previously fused without a metal plate or screws commonly experienced “settling” and the spine lost is normal curvature. A plate and screws also helps prevent this “settling” and maintains lordosis. 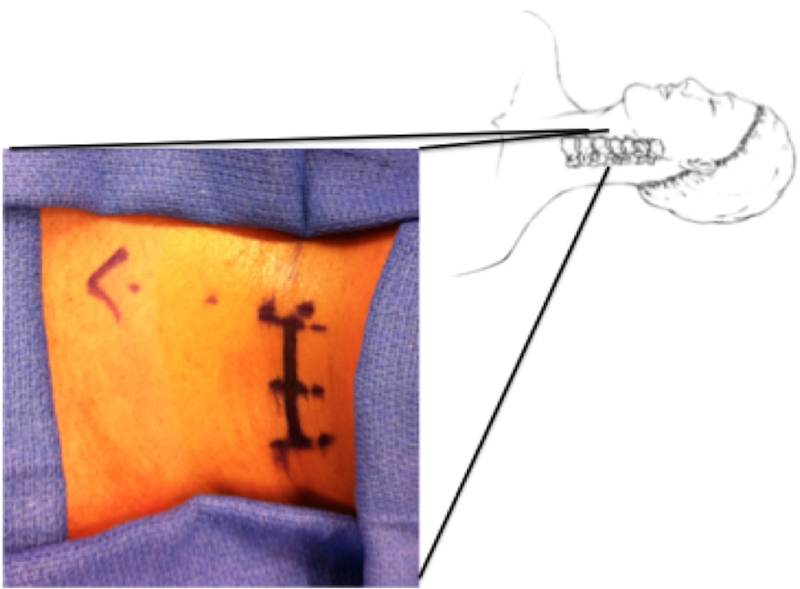 Patients undergoing ACDFs often need to wear a collar after surgery for up to 3 months. Our surgeons at Rocky Mountain Brain & Spine institute are BOARD CERTIFIED and routinely perform ACDFs.